John Stoddard worked on the roof of the Boston Design Center. An exciting new development is taking root on the waterfront, but it’s not the sort of growth originally envisioned for the Innovation District. Higher Ground Farm — a farm occupying over an acre of space on the roof of the Boston Design Center — began planting in July for its first harvest. It already has contracts to deliver to several restaurants and markets. Higher Ground Farm, and roof gardens more generally, offer more than just fresh produce. The soil provides insulation, keeping the underlying structure cooler in summer and warmer in winter. For a building the size of the Boston Design Center, this means considerable savings on heating and air conditioning. A similar project installed on the roof of Chicago City Hall in 2000 saves about $5,000 a year in energy costs. Higher Ground Farm will be over twice that size. 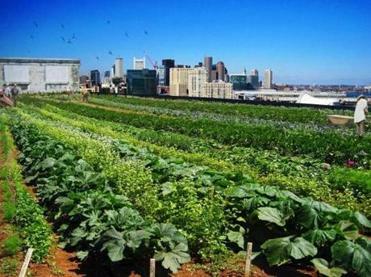 Additionally, Higher Ground Farm can help reduce Boston’s urban heat island effect — a phenomenon in which cities are hotter than their surroundings — and will help absorb rainwater before it reaches the sewer system, helping to mitigate runoff. Higher Ground Farm will help make Boston cooler and greener — and the only byproduct is edible. Not a bad deal for the city. 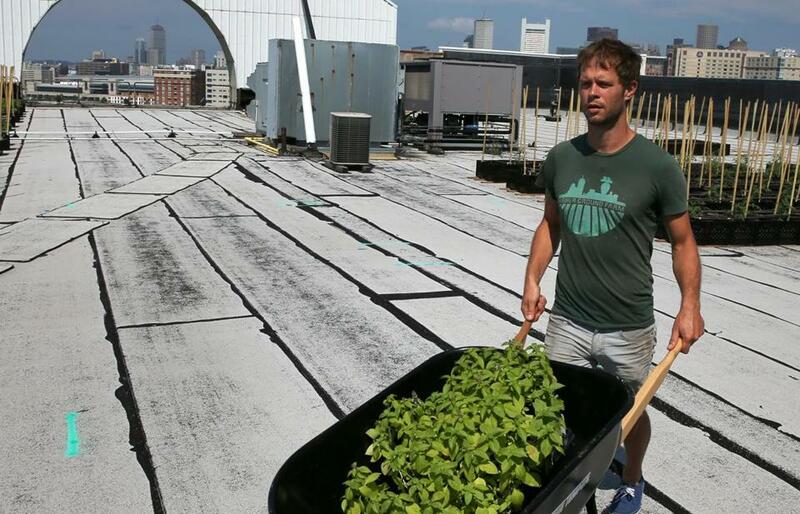 From Boston’s Seaport District to the North Shore, large-scale rooftop agriculture is blooming in local environs.